Or does your home reflect the trends in the market and ‘designer of the moment’ influences? Whichever style you have chosen, whether it maybe minimalist, contemporary, modern, vintage eclectic, eclectic elegance, warehouse conversion or modern industrial. Beachside coastal or inner city monochrome with lots of black. Your home should be about displaying YOU. Have the confidence to go all out and make it what you want, do not worry about what anyone else has chosen or the latest trends. Follow the high /low balance. Mix the expensive, ‘have to have’ items with more practical chain store finds to help you to complete the look. Try not to adhere too rigidly to one theme as this can lead to a flat and uninteresting room. That’s where the ‘personalise’ comes into the room. A room needs balance to feel and look right, be inviting but always functional. Special items don’t want to be overwhelmed by too much other furniture in the room. Don’t over stuff the room, let space breath and let the room tell your story. Fresh modern apartment living. All white interior, the only colour coming from the timber floor. 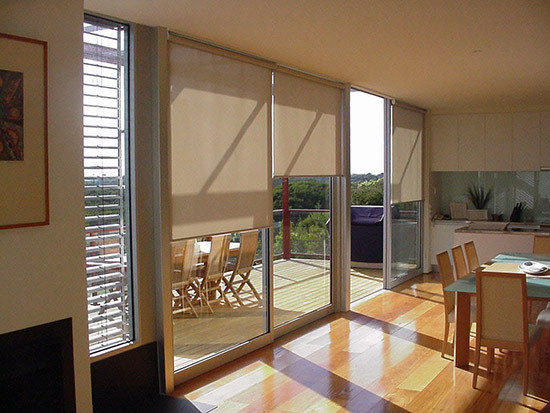 A very popular apartment trend is the sliding louver panels on the outside of the windows. This feature is one of the very best to be used in high rise buildings(at last!). In order to keep the heat from touching the glass on the outside of the building. It gives a consistent look to the building while protecting the owners from the heat of the day. All the new apartments seem to have this similar modern minimalist look to them, quite open plan and simple layouts to accommodate modern living and furniture design and size. 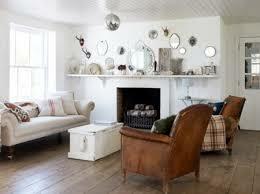 This room shows very little personality, very uncluttered and simple. 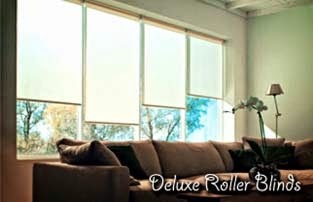 I would add a white or soft taupe light filtering motorised roller blind to the windows. this would make the room feel a lot more cosy in the winter months. 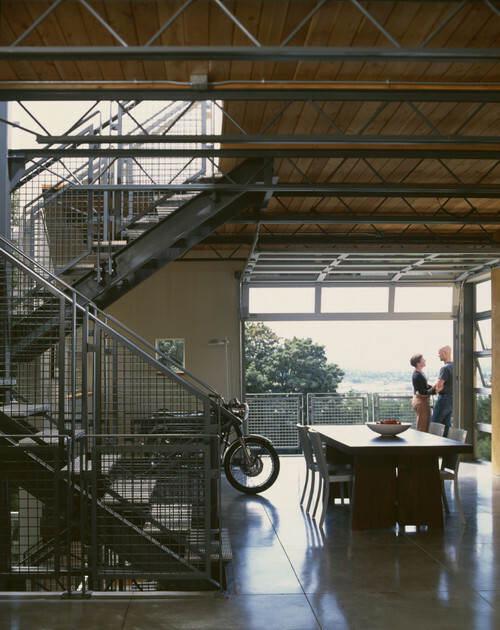 Modern Industrial interiors are one of the best ways to display a home full of individual quirky ideas. True luxury… is the availability of space and this style of home can accommodate all these features. 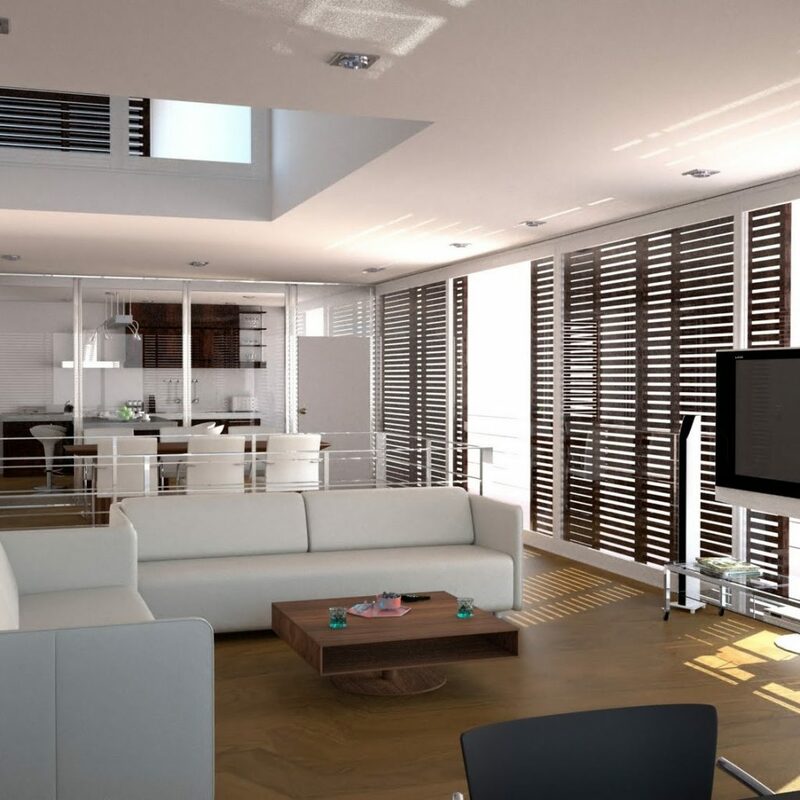 High ceilings and bold exposed fit out, plumbing and electrical are often exposed on walls, light fittings and art installations are oversized. It practical modern living yet humble and expressive in its originality. Building materials and finishes are concrete, brick and stone, industrial finish metal staircases and mezzanine floor levels. Colours are natural finished with grey and black highlights. 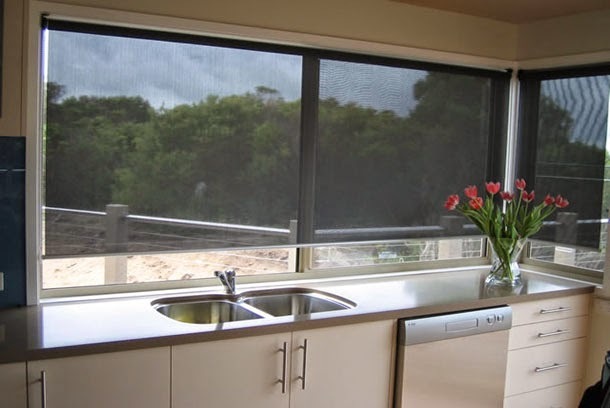 Motorised roller blinds would suit this type of home, simple practical window coverings, in dark colours. 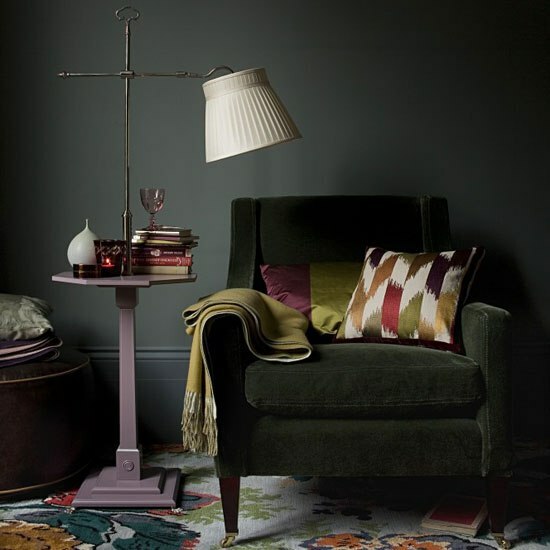 Trending right now is the strong use of bold colours in interiors. 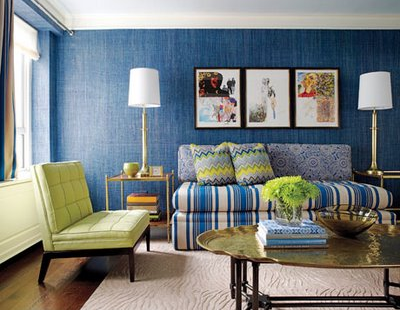 Bold colours that are layered and repeated in the walls floors and furniture. Cushions and ornaments layer up, punctuated by a less bold contrast, in this case the light grey bed upholstery. 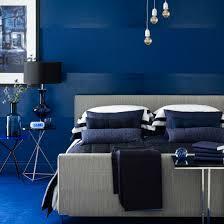 This is a classy, sophisticated look and in the case of the Prussian blue, I think quite masculine. I could see a block out roller blind in dark blue on the window. This is for the country cottage lovers. 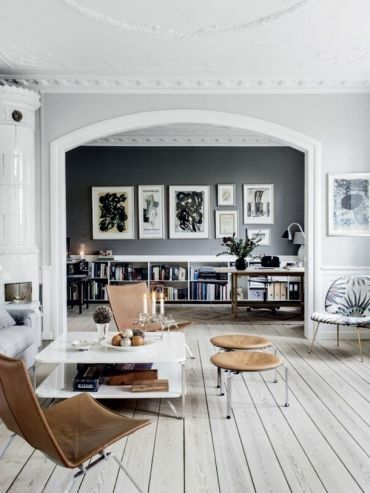 Simple and clean but showing a lot of personality with the collection of mirrors on the walls, throw rugs and the odd hand- me- down chairs. Its still modern in ‘chabby chic’ kind of theme, which has been around a few years now. This is a very relaxing room, no pretention, its low key and humble very DIY. On the window a white light filtering roller blind, perhaps topped with a sheer white curtain. Very soft, melting into the background, but cosy finish. 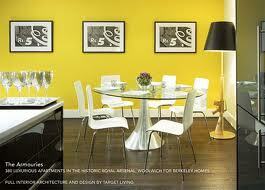 The strong Yellow walls are the very height of the trend colour of the moment. When was the last time you can remember so much yellow available to buy in all the interior home shops? The tone may very a bit, but it is everywhere and so bright and cheerful. I like it! 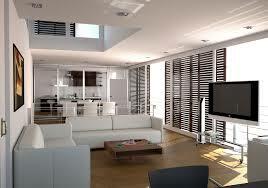 This room, however has followed a more sophisticated theme, matching with black and white. A bold strong personality would choose this colour combination. It’s modern and contemporary, perhaps an apartment. You can just see in the front of the photo, black gloss kitchen cabinets and fridge door. Very ‘chic’ and cool. Personality has been added with the repeating photos on the wall, and a ‘rifle’ light stand. On the window a black roller blind would compliment this room. This has been a quick look at some the of the latest interior looks with a view to personalising the space and what would complement the room on the windows. 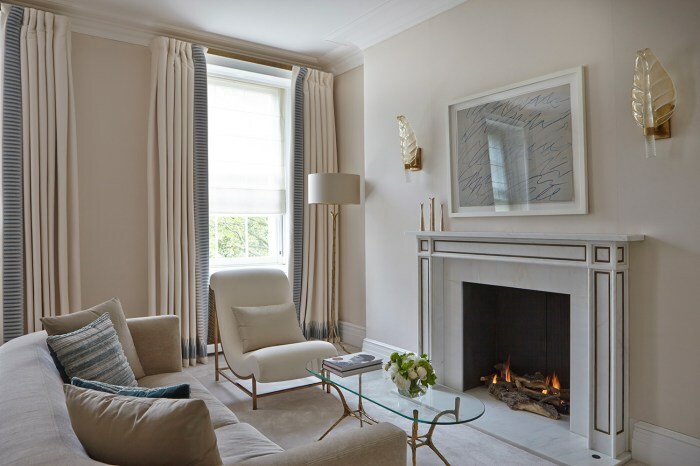 Window coverings finish the interior design of a room while adding comfort by controlling the temperature transfer through the windows throughout the year.